****Winners Announced**** Congratulations to Angie Ceroll, Ashley Tucker and Emily Skauge! Thank you to everyone who participated in the giveaway! See ya’ll at Tewaukon Music Festival! Tewaukon Music Festival is coming soon! We have an awesome giveaway package for three lucky winners. To enter, simply like us on Facebook or if you already like us, comment on the giveaway post found on our Facebook page. We will draw three winners on Friday, August 28th at 8am. 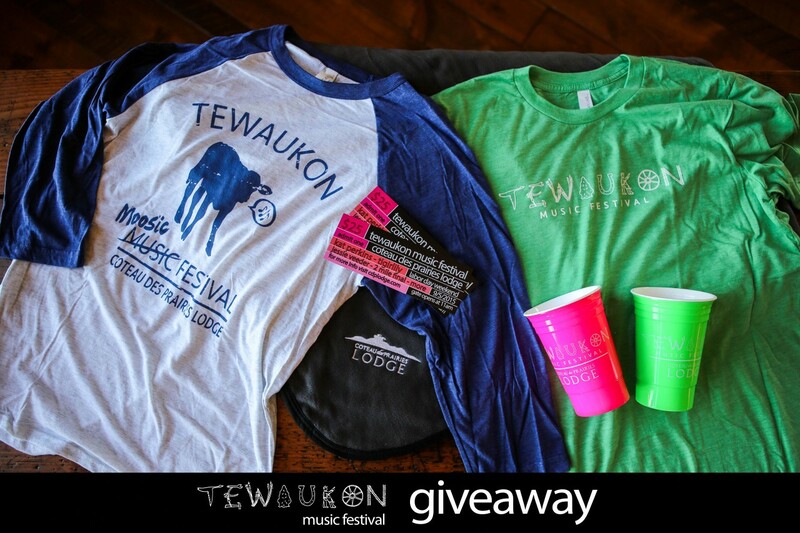 You must come to Tewaukon Music Festival at Coteau des Prairies Lodge on Saturday, September 5th to claim your prize. For tickets and event/camping information, click here.